After a bit of a hiatus during December, the Twinsie Tuesday group returns today with a Christmas manicure. 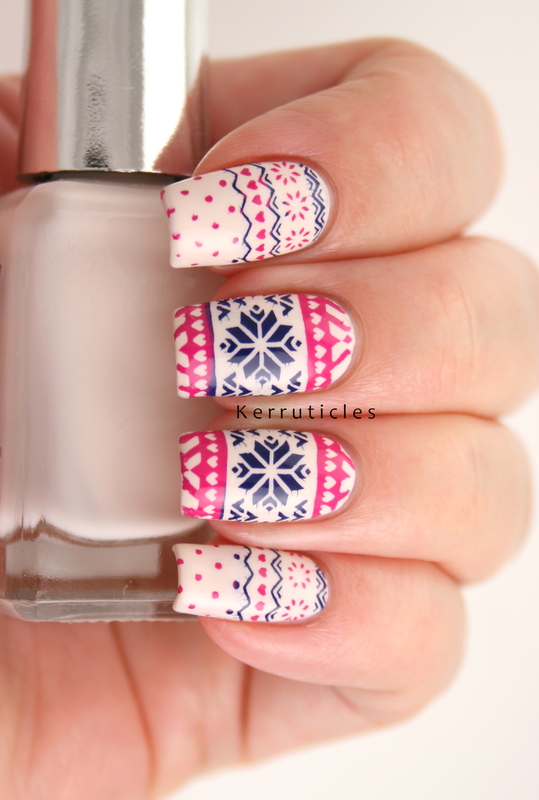 I have created some Fairisle Christmas jumper nails, in cream, pink and blue. I have just received the CICI & SISI special Christmas plate, Miss Xmas – Happy Reindeer. I won it in a CICI & SISI Facebook competition. I am delighted with this plate. It has so many great images. 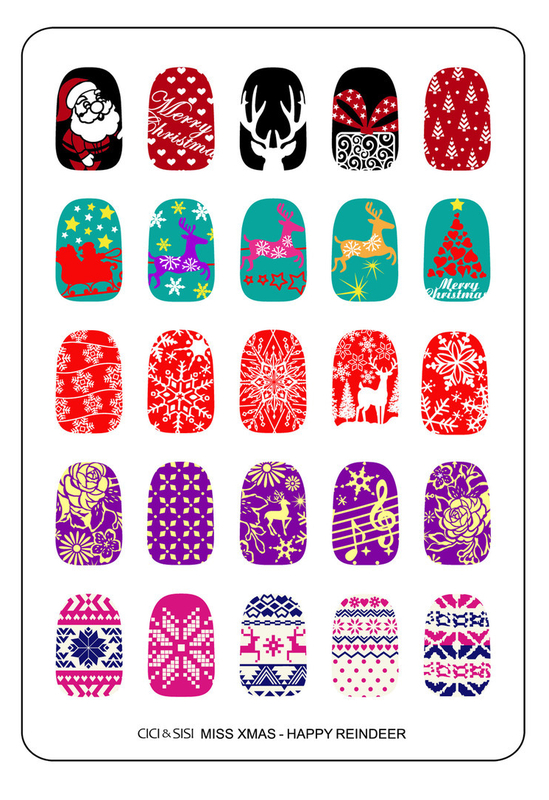 Before I received it, I looked it up online, and was really struck by one of the manicure ideas with a Fairisle / Christmas jumper theme. 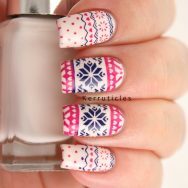 I’ve recreated some of that design using Mundo de Uñas Blue Navy (3) and Mundo de Uñas Fiusha (20) over Barry M Coconut. My Mundo de Uñas polishes seem to “bleed” sometimes and they have done here. I don’t quite understand it. They’re fine when placed and when scraped – at least I can’t see anything untoward. But once I pick them up on the stamper, they develop little spidery veins coming off the image. It may be to do with the fact that I use a fairly firm stamper, but I haven’t tested my theory. I am in love with this design. At arm’s length, it’s fabulous. In close up, you can see that my images on a couple of nails are slightly sloping, and that the colours bleed into the wrong areas, and don’t forget those spidery veins. But most people will only see it at arm’s length, so humour me here and just don’t go clicking on the images to enlarge them! 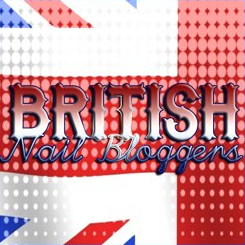 All manicure images are copyright to Kerruticles unless otherwise mentioned. The CICI & SISI image is used with the company’s permission; it is copyright to CICI & SISI. I love the pink and blue for an untraditional Christmas jumper! These are so cute! Totally reminds me of what I see on a jumper too. These are really cute and Happy Holidays! I think that your Stamper may be the issue. 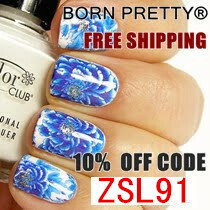 Try a soft squishy one so you can press your nail into the design rather than rolling the image on. Hope that helps. These look great! I love the color scheme that you picked! Beautiful colors – I’d totally wear this sweater!